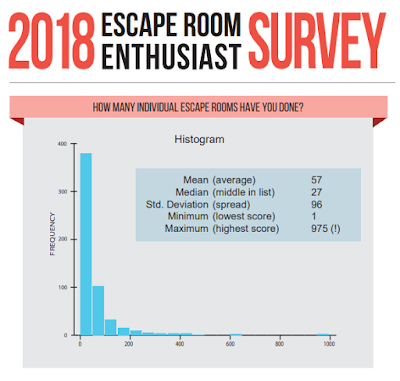 TheCodex.ca released the results of the 2018 Escape Room Enthusiast Survey today based on the responses from 562 people (up from 250 in 2017). 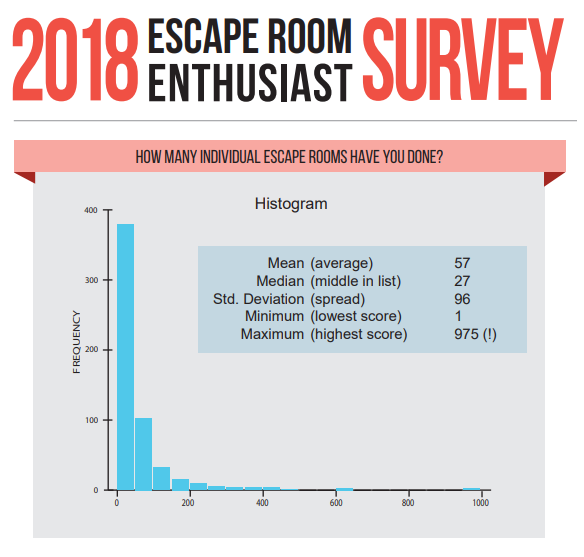 Given that this was compiled as a pastime, it looks amazing and definitely worth a read for anybody interested in how escape rooms enthusiasts think about various elements of the industry. Normally, Yelp and Trip Advisor are the go-to resources for people in determining which rooms to play. Of course they are the most exhaustive but not necessarily the most reliable. The range of star ratings on Yelp is small, often almost all establishments fall between 4-5 stars making it difficult to tell the good from the bad so we highly recommend consulting enthusiast ratings in order to maximize your time to have the best possible experience. Thanks to Lee-Fay and Errol for compiling this survey!